Message from Vets races organisers below and attached regarding cross country races (not the vets races DRR usually take part in). See instructions for completion if you wanted to take part in the survey. If your club has Veteran Women (35+) or M70+ members that run CC then they are eligible to vote in the YVAA CC preferred distance survey. The choice is to run 5K or 10 K the same as the M35 to 69 men. 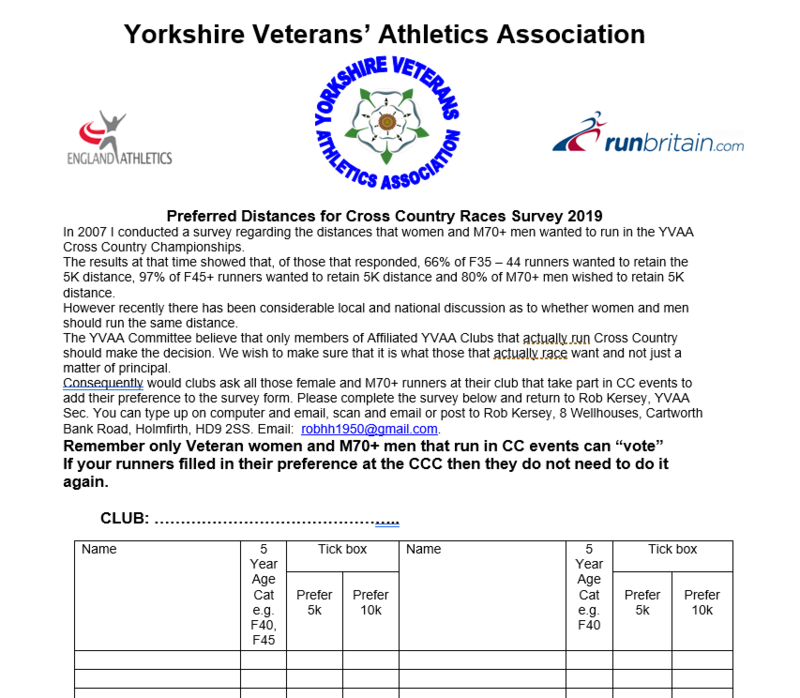 Please ask your members to complete the survey form attached and bring it to the YVAA Multi-terrain race at Honley on the 14th April or email me a copy if you prefer. The survey closes on the 14th April so please take part if you want a say in the distances run.